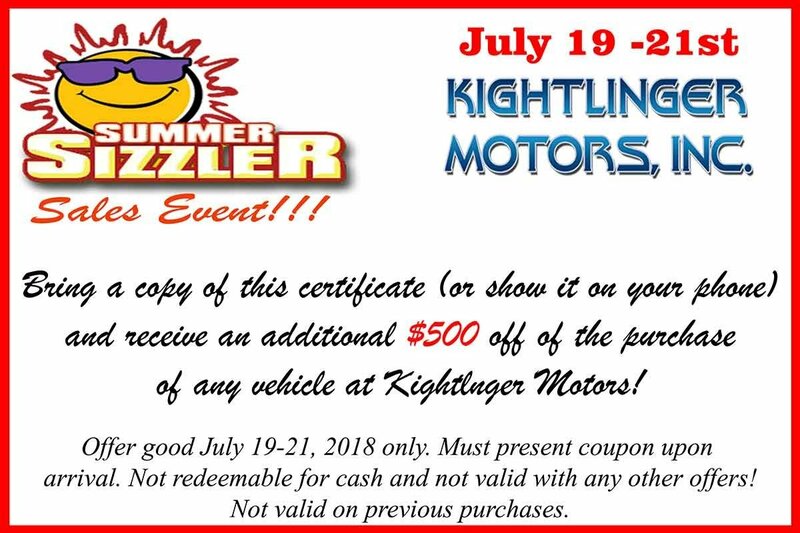 Call (800) 293-7081 For Details or come on down to Kightlinger today! *Offer good July 19 - 21, 2018 only. Must present coupon upon arrival. Not redeemable for cash and not valid with any other offers. Not valid on previous purchases.